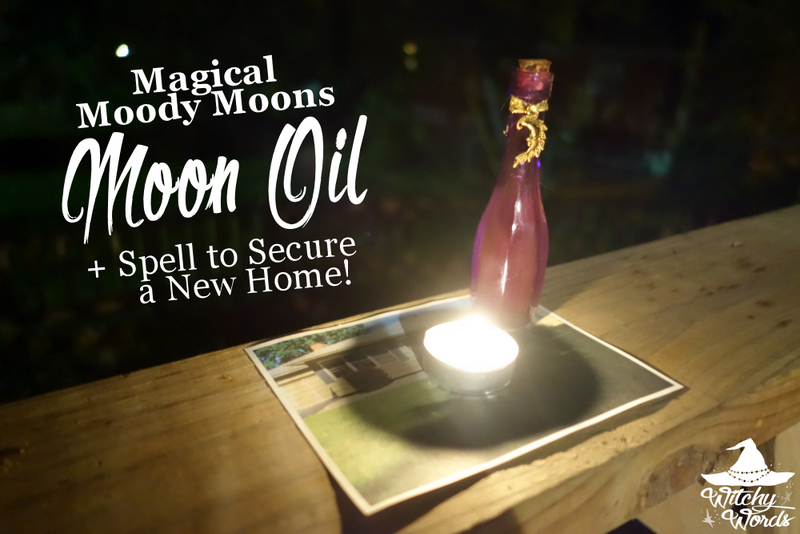 Witchy Words: [Magical Moody Moons Review] Moon Oil + Simple Spell to Secure a New Home! [Magical Moody Moons Review] Moon Oil + Simple Spell to Secure a New Home! Moody Moons started three years ago as a New Year's resolution to offer home-crafted, high quality items to the pagan community. They found their footing on Etsy but, with recent rule changes, have decided to branch out. Moody Moons became Magical Moody Moons and now offers a wide array of affordable, high-quality products at www.MagicalMoodyMoons.com! When I received the oil, a bit had seeped out into the intense wrapping that kept the vial safe and sound. I immediately noticed a strong cinnamon scent. Cinnamon is great for spirituality and healing, so I can certainly see why it holds a strong presence. Other oils in the aroma backed the strong cinnamon scent as corresponding with the moon, femininity and spirituality, so I was certainly excited to use it! Plus, the vial for this product is gorgeous! One of the uses stated for this oil is that it could be representative of the goddess on an altar and I absolutely see that as a possible use. Its appearance alone immediately evokes the magickal. 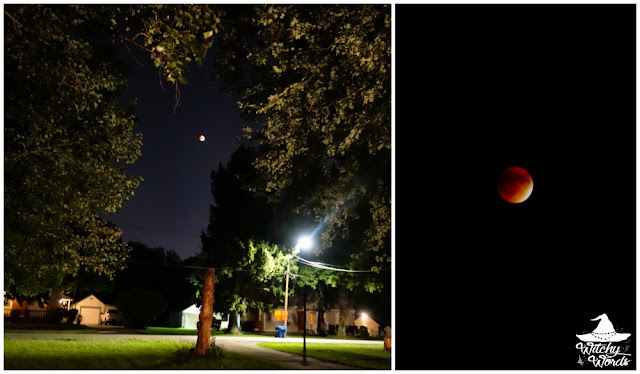 September's full moon was loaded with an immense amount of symbolism. In general, the Harvest Moon is all about reaping what you've sewn. It's the kitchen, the garden and, most importantly for me, the home. It was also an eclipse, which enforces new beginnings, changes, rebirth and taking risks. This was also right after my husband and I found out that we needed to move from our rental house. We had seen a rental property we truly liked and had decided that that was the one we wanted to rent. However, we had to wait until Monday to rent it and there was a risk we could lose the property over the weekend. With Sunday night being the full moon, I decided to do something about. Don't fold it yet! I took this picture in aftermath. I printed off a picture of the font of the house from the listing online. On the back, I wrote my name, my husband's name, the address, some details about the house, when we wanted to move in and how smoothly we wanted it to go. We also stated how long we wanted to live there and what would happen next. I then anointed a white tealight candle, evoking the full moon, in a clockwise direction with the oil. 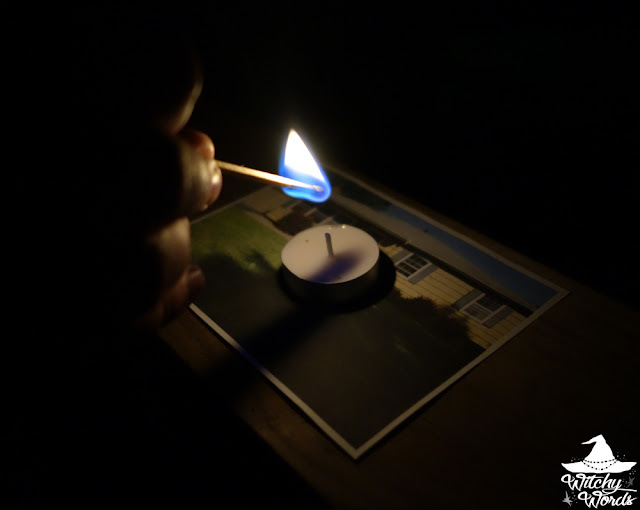 I circled the wick nine times, chanting something about the house we needed each time. My husband then lit the candle and we stood over it for a while, envisioning a happy life there. It took about 4-6 hours for the candle to burn out. We didn't stay with it but we did keep it in view as the deck is right outside of the office. We ended up having to take turns as we both had to work the next day and needed some rest. There are smaller candles you could use - such as birthday candles set in sand - but I didn't have any on hand. In the morning, which just happened to be the morning we were hoping to put down the deposit and sign the lease, I folded the paper in such a way that it would fit into my wallet and the front door was visible on one side. You'll want to place a magnet over the front door and put it in your wallet or purse securely, so the magnet won't move. I actually have a phone wallet with a magnetic lock, so I placed this in a way that the magnet would be over the door. We are now renting a new house! Even more so, the house we're renting is on Crescent Avenue. Notice the charm on the vial? I have to give a special thanks to Moody Moons for sending me the perfect oil to anoint my candle with. While there are other uses for essential oil blends, anointing the candle was exactly what I needed to do. And I don't know if it would have worked without it! Thank you so much, Liz! I hope so too! On Monday, I'll be posting more details. Congratulations! Sending you warm wishes and lots of positive energy toward a smooth and easy move! Thank you so much! My husband actually moved us today while I'm in Florida. Lucky me! But I heard it went really well. More details on Monday!